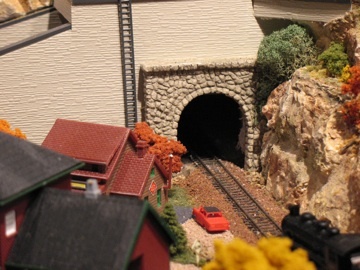 WELCOME to the 25th issue of BYMRr-Zine - a newsletter published by Building Your Model Railroad, devoted to providing breaking news and tips to model railroaders of all ages and all scales in a quick and easy-to-read format. Resources are always credited where appropriate. One easy way to model a river, pond, lake or other body of water is to use either a mirror or a sheet of ripple-finished acrylic plastic that can be purchased from plastic supply stores or home improvement stores, or even from online sources. First select the area of your layout where you want the river to exist and paint the base with an appropriate color that you want to be reflected through the plastic. This could be olive-green, blue gray, gray, brown-gray, brown-green. Bright blue is almost never realistic except around golf courses where they color the water artificially. Cut out the piece of ripple acrylic to match the area of the layout surface where it will be placed and glue it in with transparent glue or with acrylic gloss medium. Then add the banks of the river or lake using beveled styrofoam covered with plastercloth and or Scultamold in an irregular pattern so the edges don't look straight. You can add small rocks along the edges if you wish. Paint the banks a brown or earth color and finish off the scenery on the sides of the river with ground cover, bushes and trees, being careful to cover the edges of the ripple acrylic at the bottom of the banks so they don't show. If you want an extra sheen and extra ripples on the surface of the water you can add a layer of acrylic gloss medium. You can also use acrylic gloss gel to make rapids. Dry brush small amounts of white titanium paint on the tops of the waves to create a white-water effect. Consider adding fishermen, a small rowboat, an alligator or shark fin to the water for more interest. You may want to put a small shack or bait-shop nearby. 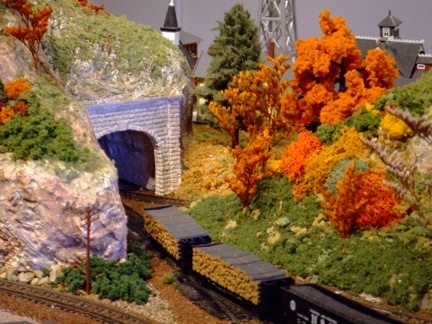 See "Adding a River the Easy Way", by George Riley, in Railroad Model Craftsman, Jan., 2013. 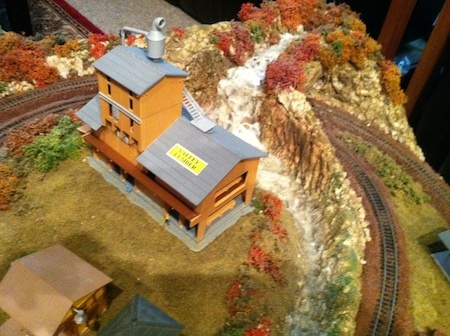 Also check out rrmodelcraftsman.com/extraboard for other scenery tips from RR Model Craftsman. Adding grass to a small scene can be accomplished in a number of different ways. Using electrostatic grass has become a popular way of modeling grass that looks pretty realistic. The static grass applicators are fairly expensive however. You can purchase a Busch Wildgrass mat (no. 7215) that looks just like electrostatic grass and is easier and less messy to apply. Just cut out the portion of the mat that you need and glue it down. If you want a section of the grass to look mowed, just use an old electric shaver to do the job! 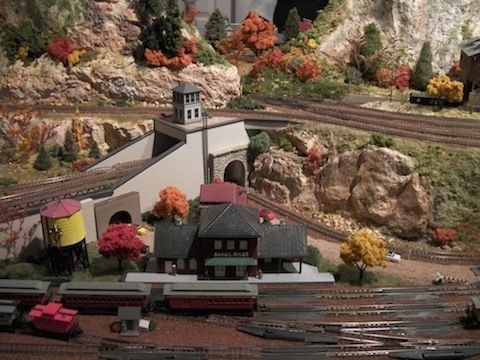 When designing your dream layout, there are a lot of things to consider. First you need to have an idea of what scale you want to use. Sometimes this is the most difficult decision. It may be helpful to visit museums, friends layouts, or other places that have layouts that you can look at and get an idea of the size and space the different scales occupy. Then you need to select an era and a locale to model, or there may be a specific prototype you would like to show. 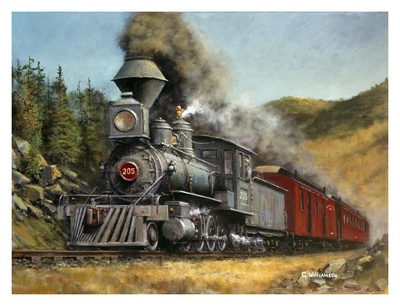 You need to know what your railroad is going to do - determine it's purpose. You have to decide where you're going to put it - hopefully in a nice room with air conditioning, heating and good lighting. Then you're ready to start making a track plan or use one that's already been done, although you will likely still need to modify it to fit your space. Sometimes it's helpful to keep a notebook or scrapbook where you can keep all this information, including your drawings of scenes you want to do, your wishes, what you really want and what you're willing to sacrifice for lack of time or space, and your track plans and layout design elements. 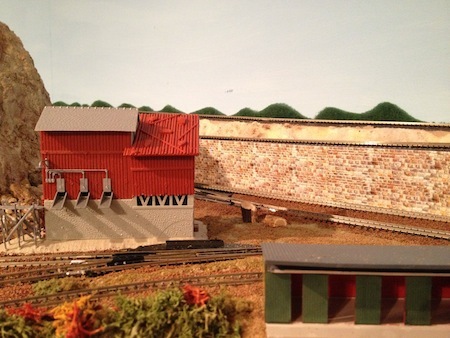 With all of these decisions to make, it's easy to get bogged down and never get started on the actual building of the layout, which would be a shame - a dream never realized. Whatever your vision is, always keep moving forward. Sometimes you just have to toss a coin or just pick one side or the other and go with it. If the decision is that close, chances are you will be happy with either choice. Don't stop moving ahead just because the decisions are overwhelming. If that seems to be what's happening, the thing to do is to go to your hobby shop and buy whatever train set looks good to you. Set it up on a table and let the hobby unfold itself to you from there. You'll know what to do. Read some of the pages on this site to help you keep adding to it - a little at a time. Before you know it, you'll have something to be proud of. Something your family and friends can enjoy as well, but mostly for you - an expression of your creativity, a construct of yourself in a way. 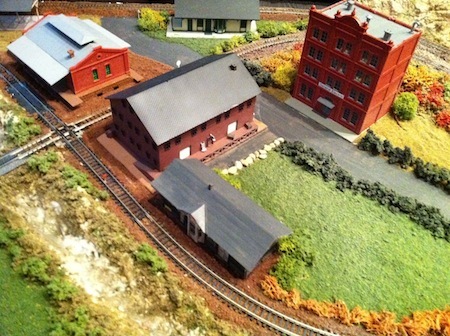 It will help add meaning to your life - something else to be in addition to whatever else you are - You are now a model railroader! If you have a simple backdrop like I do - just painted blue with whitish streaks blended in - you may want to jazz it up just a little by adding a suggestion of mountains in the background. You could try painting some mountainous ridges if you're a decent artist or if you are good at copying from a reference photo. Another idea is to use some scour pads made by 3M. You can buy them in your local grocery store. They usually come in an appropriate dark green color, but if the green is too bold for your taste, you can mute the color by spray-painting the pads with a bluish gray or gray-green hue. You can then cut out the pads using regular scissors into a somewhat wavy pattern to suggest mountain tops in the distance. If you're going to paint them, I think it would be a good idea to cut them first, then paint. Otherwise the green edges will show after they've been cut. This picture is my rude first attempt at doing this, but it's not bad. I may try cutting a few more, but with a smoother wave at the top - less "spiky" - and see what that looks like. With a little spray paint to mute the bold green color, and if I put some trees and shrubs in front of them, I think it might work. It has sort of a 3D effect, not flat like a painted mountain would be, and it's a little fuzzy at the top simulating real tree branches in the distance. ~ Make your own decals - Look in old magazines, newspapers and even junk mail to find logos, advertisements and pictures that can be used on your billboards, buildings or signs. ~ Turn your regular townspeople figures into hobos - Paint some "dirt" on their clothes with brown or gray paint and glue them inside freight cars or hanging off the back. 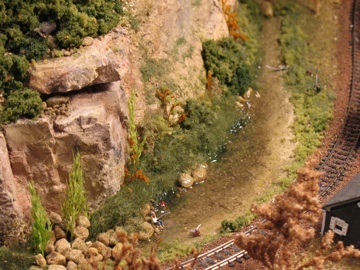 ~ Use a mixture of light and dark brown or gray ground cover to make dirt roads on your layout. Just draw where you want the road to be on your layout surface. Then brush white glue directly on the road between the lines you've drawn. Then add the ground cover. Remove the excess after it's dried with a vacuum. You can line the roads with a scattering of green or yellow grass or weeds. ~ Use your finger to find irregularities in your track joints. You can feel if it's not a smooth transition easier than you can see it. Use a small file to smooth out these joints to prevent derailments. ~ Use a flat car to make a rural bridge. First remove the trucks from the bottom of the flat car. The install it over a small creek or ravine. Make your road come up to each side of the bridge. Add people or cars and "Slow" signs for detail. ~ Consider using baking soda for snow scenes. Brush on a thin layer of diluted white glue to rooftops, cars, trucks and anything else you want to cover with snow and sprinkle on the baking soda. Vacuum up the excess. ~ Use window screen or silver lace material to make a chain link fence or a backdrop for a baseball field. You can use nails for the fence posts. Found a very inspiring video of a large On30 layout, modeling Cumberland Point. Beautiful scenery and music depicting a wonderful time gone by. See how the dreamlike mood, the era, the locale are clearly evident. You can almost imagine that you're there.